More information, photos from past Vallarta Folkloric Festivals, and a complete schedule of this year's events can be found on the Festival Vallarta Azteca del Folclor Internacional Facebook page. Puerto Vallarta, Mexico - From April 28 through May 5th, more than 750 dancers from seven Mexican states and five guest countries will participate in the 13th Puerto Vallarta International Folkloric Dance Festival, an annual event organized by Grupo Folklorico Vallarta Azteca and endorsed by the International Council of Organizations of Folklore Festivals and Folk Art (CIOFF), a partner organization of UNESCO. 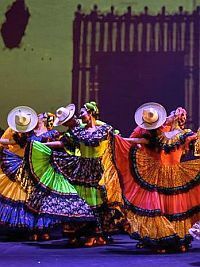 According to event organizer Juan Antonio Salcedo, who is also the director of the Ballet Folklorico Azteca Vallarta, the festival's goal is to create bonds of peace and brotherhood between the groups and countries involved, as well as provide Puerto Vallarta residents and visitors with a celebration that brings the colors, music and traditions of Mexico to life through dance. Out all of the dance troupes that auditioned, only thirteen were selected, with the national groups coming from Aguascalientes, Chiapas, Durango, Jalisco, Nayarit, Nuevo León, Sonora and Zacatecas, and the international dance companies coming from Italy, Panama, Colombia, Ecuador and Chile. Salcedo explained that the repertoire of each participating group is traditional to the region it represents. "Every dance group will perform a 45 minute repertoire with pieces emblematic of the state they represent. Many times the pieces and choreography of each group represents the result of intense research, which makes this festival thgat much more interesting," he said. As true to tradition as the dance and music, the elaborate and multi-colored costumes alone are worth stepping out to catch these free performances, which are not to be missed! The festival kicks off at 6:00 pm on Sunday, April 28th with a parade that begins at Los Arcos del Malecón and ends at IPEJAL, (the field in front of the Municipal Sports Stadium where beach volleyball and soccer competitions are typically held), where an inauguration ceremony will be held at 7:00 pm to welcome the more than 750 participating dancers to Puerto Vallarta. IPEJAL will be the festival's "headquarters," with free performances every night at 7:00 pm. 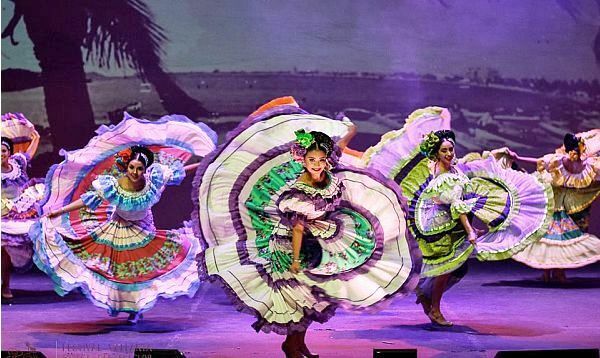 More information, photos from past Vallarta Folkloric Dance Festivals, and a complete schedule of this year's events can be found on the Festival Vallarta Azteca del Folclor Internacional Facebook page.